While the NBA’s near future still remains uncertain, let’s take a look back at a past basketball superstar whose records still stand today – Wilt Chamberlain. Chamberlain was an absolute BEAST, standing 7 foot 1 and weighing 300 pounds. He’s remembered as one of the most dominant players to ever play the game (sorry Shaq). 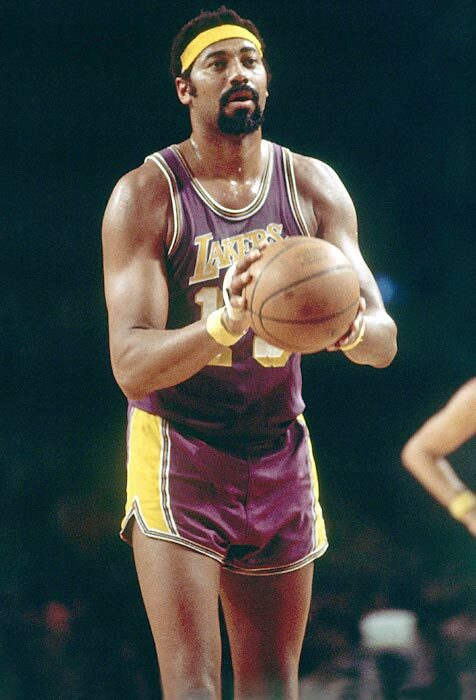 Starting out with the Harlem Globetrotters in 1958, Chamberlain’s career lasted until 1973 – playing for the Philadelphia/San Francisco Warriors, the 76ers and finally the Lakers. His awards and records during that time are staggering. He was an NBA champion twice, MVP four times, thirteen time All-Star, seven time NBA scoring champion and 11 time rebounding champion. He is perhaps best known for a 1962 game against the New York Knicks when he scored 100 points… IN A SINGLE GAME!!!!! This record for most points in one game still stands today. Oh.. and he also holds 71 other NBA all-time records. Wow. Needing to get your basketball fix? Log in to FunGoPlay and head to HoopGood Hall to play the best b-ball games on the web! Posted by fungoplay on October 21, 2011 in Sports and tagged flashback friday.